Studio S Squared Architecture, Inc.
BEST OF HOUZZ (DESIGN): 2017, 2016, 2015, 2014, 2013, 2012 BEST OF HOUZZ (CUSTOMER SERVICE): 2019, 2017, 2016, 2015, 2014, 2013 HOUZZ ADVICE GURU: 2016 Studio S Squared Architecture, Inc. was founded on the belief that client involvement and a positive relationship is the key to a successful project, and we are committed to a team-oriented approach in all phases of the design process. We believe in the value of collaboration within our office, with our consultant team, the building contractor, and most importantly, the owner. When you hire Studio S Squared Architecture, you partner with a diverse, dynamic team of experts who will help guide you through the entire design process, from initial concepts all the way through construction. We consistently deliver outstanding design that makes the most of your budget—along with innovative ideas that transform your space into something truly extraordinary. Our practical experience covers the entire spectrum of projects, from small commercial remodels to large corporate campuses, from single family homes to multi-family buildings. The common thread in our buildings is the belief that architecture can lift the spirit, and that great relationships make great architecture possible. Great architecture involves more than using our expertise to navigate governmental approvals. Clients look to us to take their ideas and elevate them into a design uniquely tailored to their site, personal, and business needs. We work to keep the lines of communication with clients open at all times to ensure that we can craft a building that is uniquely their own. With this approach, it is possible to create a “signature” building with every project we design. Our firm is committed to conservation and wise use of our natural resources, and minimizing our projects' impact on both the built and unbuilt environment. We also commit a percentage of our billable hours every year to local non-profits in need of pro bono or reduced-cost architectural services. Acton ADU is a Northern California company founded by family housing advocate, Stan Acton. The company specializes in designing, navigating, and building personalized Accessory Dwelling Units (ADUs) for homeowners that want to benefit from a long-term family housing and investment plan. Acton ADU is based out of Campbell, CA and serves 20 cities and jurisdictions in the San Francisco Bay Area’s Silicon Valley for over 30 years. 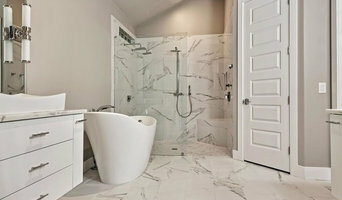 San Jose's Expert General Contractors - 2x Best of Houzz! Robin McCarthy is a California licensed architect who specializes in residential architecture. My company, Arch Studio, Inc., is a full-service architectural design studio that can help you plan your design project from beginning to end. We specialize in custom residential remodels, additions, and brand new construction. Please check out my website www.archstudioinc.com for more information. Best of Houzz 2014, 2015 and 2016 - in Design, Service, and Client Satisfaction. Your portfolio was voted most popular by the Houzz community. Born and raised in São Paulo, Brazil, Juliana Linssen always knew she wanted to work with the creative arts. After getting a Bachelor's Degree in Advertising and Marketing, she moved to Los Angeles to pursue a Certificate in Film Production with Emphasis in Art Direction and Production Design at UCLA Extension. While working in the Art Department for major feature films such as "What Dreams May Come" and "Thirteen Days", she started taking Interior Design classes and fell in love with it. She then moved to the San Francisco Bay Area, completed a FIDER Accredited Advanced Interior Design Certificate at West Valley College and went on to work as an Interior Designer for prominent Residential Interior Design and Design and Build companies. Juliana has now been an accomplished Residential Interior Designer with 15 years of experience and has won NARI and NKBA design awards. She has recently been featured on the Oceanside Glasstile website. 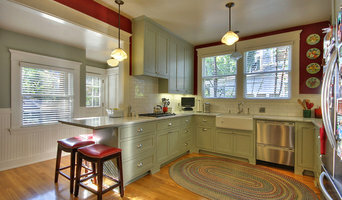 She is also a Certified Kitchen Designer with the National Kitchen and Bath Association. We are a licensed, accredited business with BBB (Better Business Bureau), and experienced in-house construction and home remodeling company, and we don't stop there, because we can build a house from the ground up. Think of us as one stop shop taking care of everything from A-Z; we have our in-house engineers, architect, interior designers, and your own personal project manager. We specialize in kitchens, bathrooms, room additions, garage conversions etc. Our professionals take care of the blueprints, permits, inspections, and walk you through the entire process. Our professionals ensure clear expectations are set and met consistently, from our first conversation with you to the completion of your project and beyond. 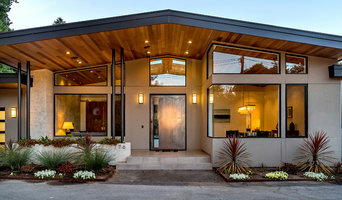 San Jose's Full Service Design Firm 3X Best Of Houzz Winner! A construction company that has generations of experience, FVR Inc has a proud history of working with numerous homeowners in the BAY area. Our clients have been with us for decades and have depended on our quality work for many years. We are a construction and remodeling company and a growing family with talented and friendly people you will enjoy having in your home. Not only does our history and experience make us a company to look for in your construction and remodeling needs, but we are detail-oriented and offer all types of services for your construction and remodeling needs. Taking pride in what we do means that you have a job well done from us the first time. We are licensed, bonded and insured. We specialize in total custom remodeling for your home. Right from the start, we offer you a free consultation to develop a complete and through design that not just meets – but exceeds every client’s expectations. With over 25 years experience, Timeline Design-Build has been servicing the building and remodeling needs of our clients in the San Francisco Bay Area region. Whether you are looking to build your custom dream home, remodel your existing home, or would like to add some additional square footage, Timeline Design can expertly handle your project. At Timeline Design, designing and building is one seamless process -from architectural and interior design to construction we take all of it all. Throughout each phase of your project - planning, designing, estimating, and construction - our expert staff at Timeline Design is dedicated to providing you with the highest level of quality and service. We are located in downtown Saratoga, CA and have a kitchen showcase right at our office location. Come visit, meet our staff and get inspired for your next home building and/or remodeling project. Lemon Remodeling & Services is a California based company offering residential design and construction services in the Northern California Bay Area. We have positioned ourselves as the ideal solution for all residential development projects given our vast experience and excellent track record. Our services include, but are not limited to, kitchen remodeling, bathroom remodeling, interior remodeling, residential construction, architecture and home design, and exterior remodeling. We provide complete project management and full turnkey service on both private and outsourced projects. We handle all aspects of the permit process and all required inspections. We have a designer on our team who can help you achieve your dream home. We will accompany you to the showrooms and we offer you our professional discount on your purchases. We are available to respond to any questions you may have. Our team has built a successful business based on design excellence, the highest level of craftsmanship, prompt and reliable service, cost transparency, on-site project management and complete customer satisfaction. We adhere to all industry models and standards of practice across all the services which we provide. We look forward to working with you to create your dream home! Note: Some of our project's pictures are for illustration only. Our approach to design enables us to create living environments for people that truly resonate with their lifestyles, dreams and aspirations. We take a holistic view of our design practice, melding interior and exterior design with traditional design services. We build successful relationships that are anchored on developing a deep understanding of how our clients want to live. We spend time eliciting their dreams, helping to identify and articulate what would make their home a meaningful reflection of their style and aesthetic. Our work is a translation of those dreams into the design elements that make them a reality. 2 office locations ~ San Francisco & Silicon Valley Award Winning Designs & Customer Service With over 15 years of experience working on remodels and new home construction, Lydia Lyons Designs offers full service interior design to help you bring your dream home to life. We go where our clients need us! San Francisco Bay Area , NYC, Santa Barbara, South Bay Communities: Santa Cruz, Los Altos, Palo Alto, Woodside, Los Gatos, Monte Sereno, Saratoga, Redwood City, Menlo Park, Atherton, Cupertino, Mountain View, Sunnyvale, San Carlos, Lydia started her design career at Sunset Magazine, working on the popular Sunset Idea House editorial feature. This annual program offered 2 Sunset designed homes open to the public to demonstrate the best in new home design and trends. LLD prides in making lasting connections with our clients, many of her clients are repeat customers and most work is generated by referrals. LLD is comprised of a team of 2 Lead Designers - Lydia, Celia Boutell and one Associate Designer. North Point Building & Design, Inc.